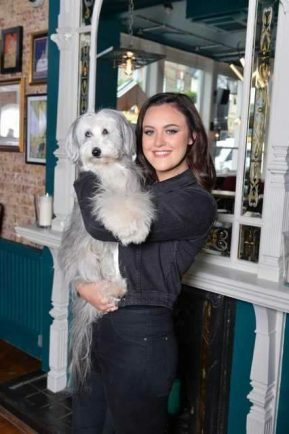 Panto stars: Ashleigh and her pooch Sully. CLASSIC panto ‘Alice in Wonderland’ is on at the Palace Theatre tomorrow, Saturday, April 14. The show, an adaptation of Lewis Carroll’s classic tale, stars Britain’s Got Talent winner Ashleigh Butler as Alice and her dog Sully alongside children’s TV legend Dave Benson Phillips as the Mad Hatter and Lesley Ash as The Queen of Hearts.